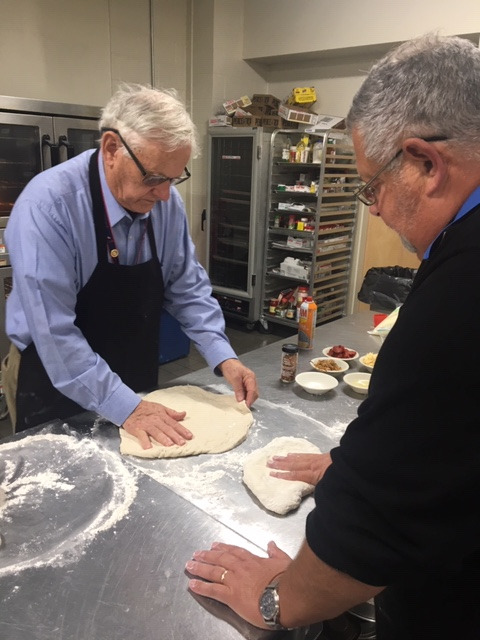 On Friday, November .16 our club had a great evening making pizza. 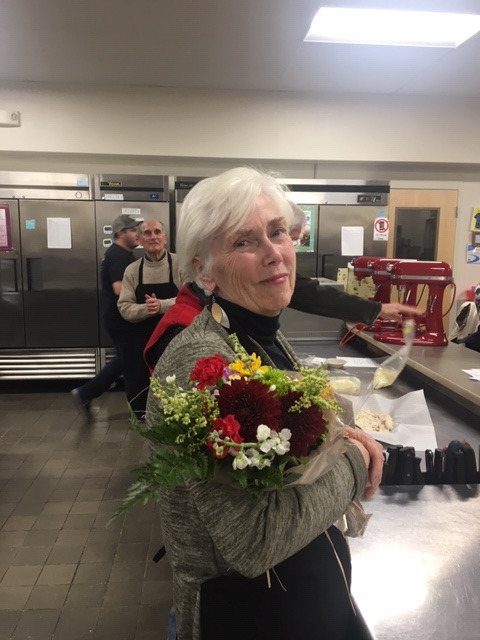 A big thank you to the Culinary Arts at Lake Region High School. Chef Nick Orgos gave us numerous recipes. 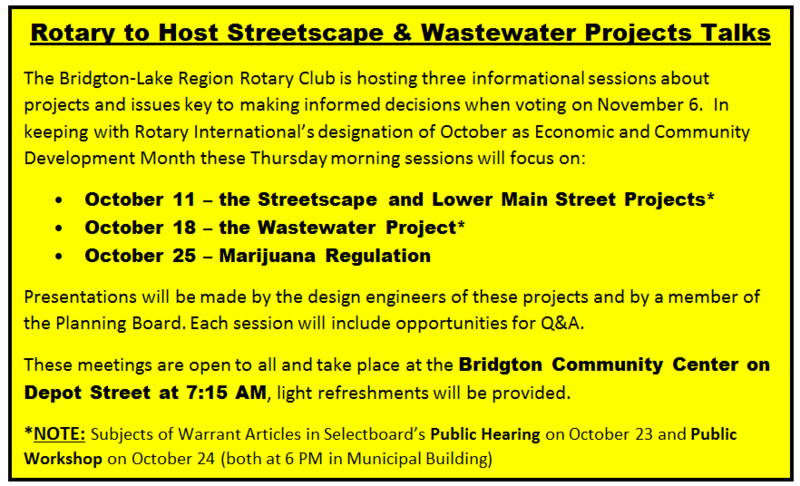 Have you ever wondered what happens in the beautiful NAHGA building in downtown Bridgton? 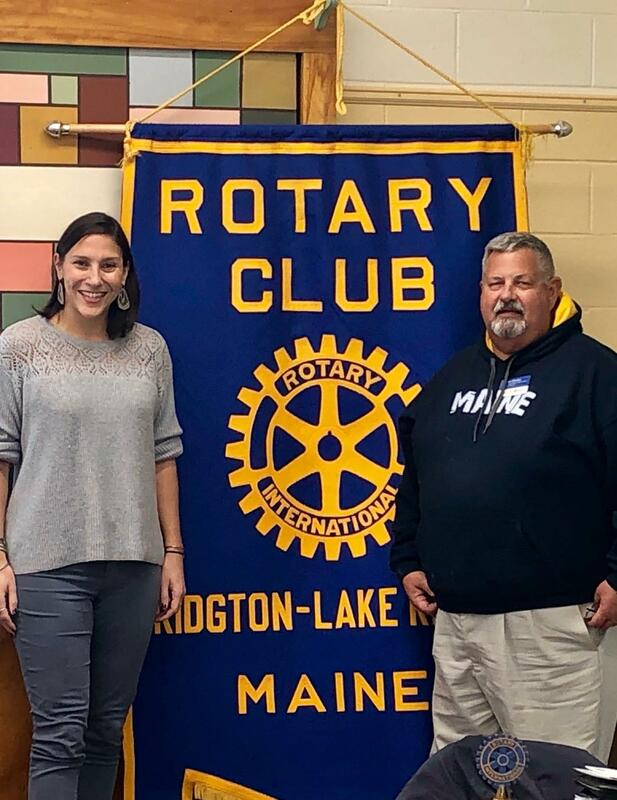 Marney Chalmers joined us and gave a really wonderful presentation of how this business in small-town Bridgton is making a big impact in the lives of their clients. Out-of-this-world claims processing by down-to-earth people: at NAHGA, Stellar Service is no accident! NAHGA is a Third Party Administrator (TPA) that is nationally recognized for processing claims with a personal touch. While they value technology, they know that automation cannot take the place of a friendly voice and a personal connection with your adjuster. 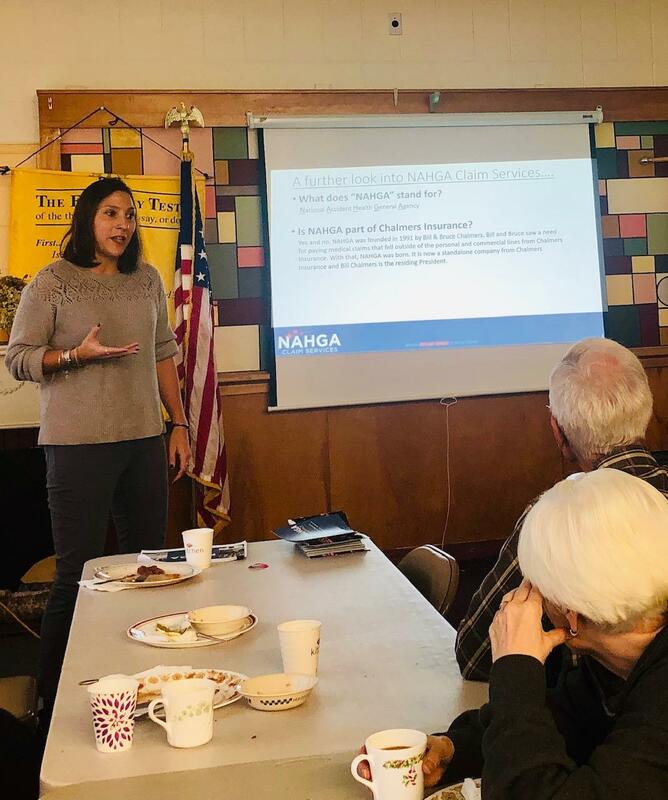 Others may say they care about every client, but at NAHGA, they demonstrate that with personal attention and timely, accurate service on every claim. 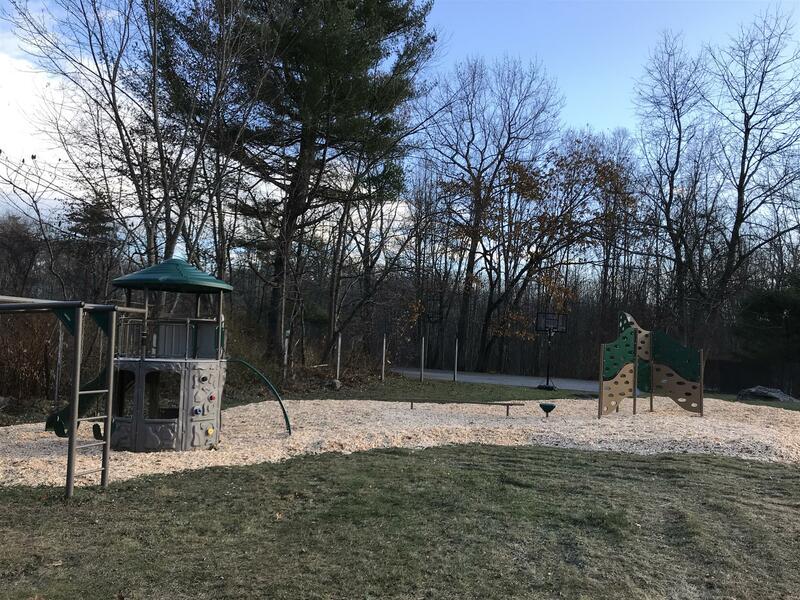 NAHGA is a family-owned company with offices in Bridgton, ME and North Conway, NH. Since their founding in 1991, they've grown to more than forty employees, and process claims for ten of the premier writers of health and accident insurance for students, sports leagues, day cares and many other organizations. They can customize a claims adjudication program for any organization, large or small, including high-deductible and self-funded plans. Children’s Librarian Samantha Zawistowski accepts donation for Literacy Loons! 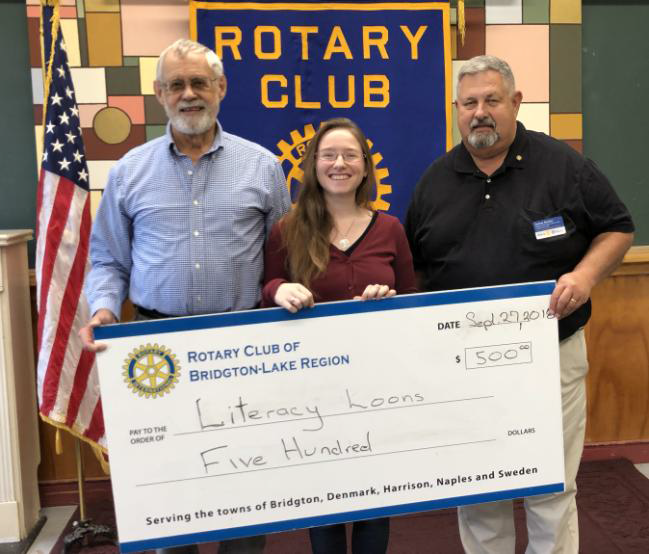 The Bridgton Public Library is excited to announce a partnership with the Bridgton-Lakes Region Rotary Club in a project to help promote literacy among children in the community. Literacy Loons! gives every Stevens Brook first grader the opportunity to receive up to $14 of free books from Bridgton Books simply by using their library cards! 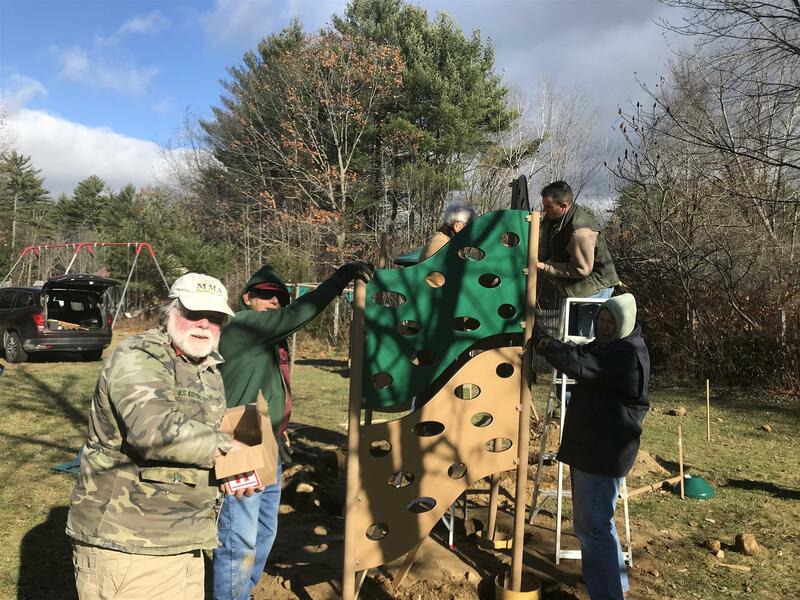 This community effort is supported also by Bridgton Books, Friends of the Library, and Bear Pond Learning. It’s always exciting to see more young faces at the library! 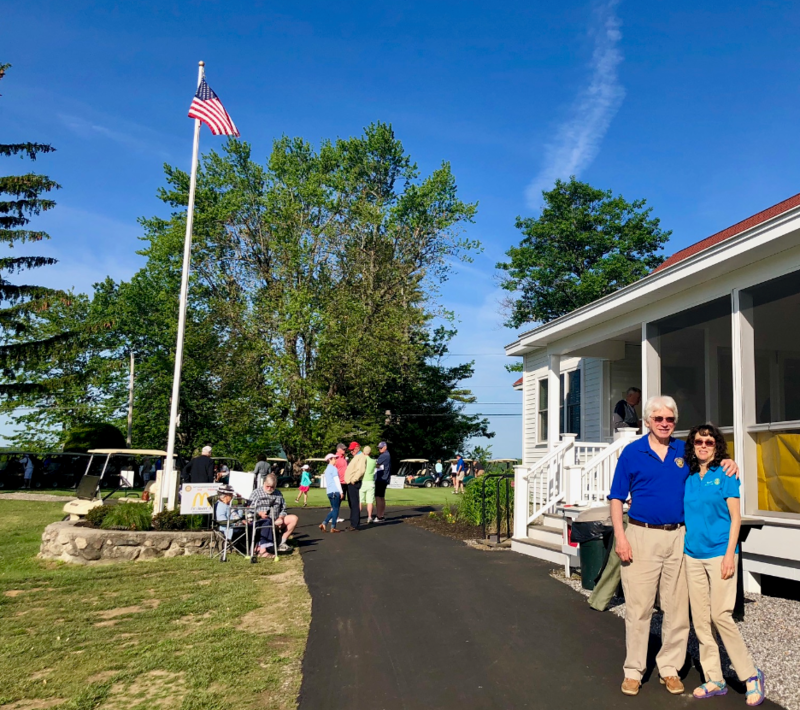 Our 9th annual Golf Tournament was held on Saturday, 6/9/18. Proceeds benefit Youth, Seniors and Veterans. Citizens of the Month Michael Peterson and Dominic Adams were recognized at last week's meeting and also volunteered at the June 9th Golf Tournament. Citizen of the Month, Olivia Deschenes, is recognized for displaying good citizenship and contributions to the school community. Presenting Olivia is Linda England, Rotary Interact Advisor and Rotarian Lisa Ryan. Congratulations Olivia! 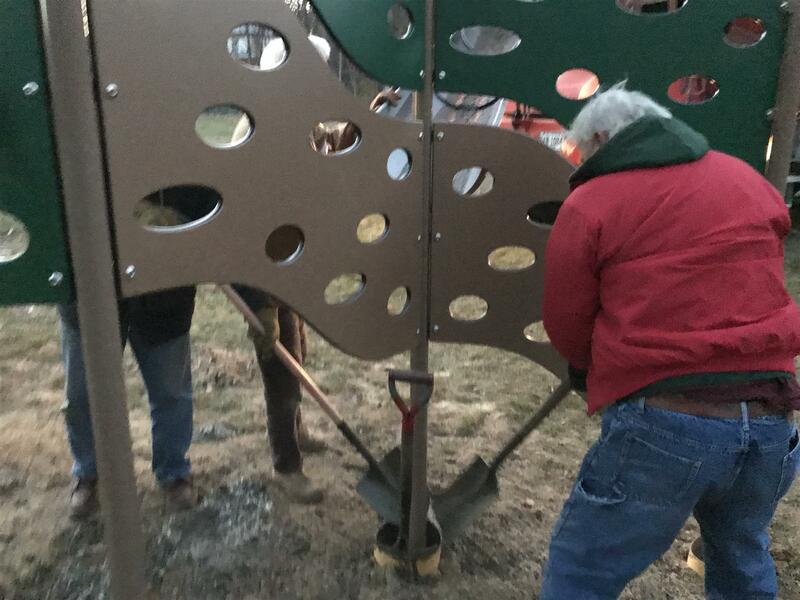 This Christmas our Rotary Club adopted students from Songo Locks and Steven’s Brook Elementary Schools so they could have presents under the tree. These included clothes, winter wear and toys. Here is a letter from Amy Saunders at Songo Locks expressing her appreciation. Pictured making deliveries (left to right) are George Klauber, Dave Barker, Amy Saunders and Joe Barth. 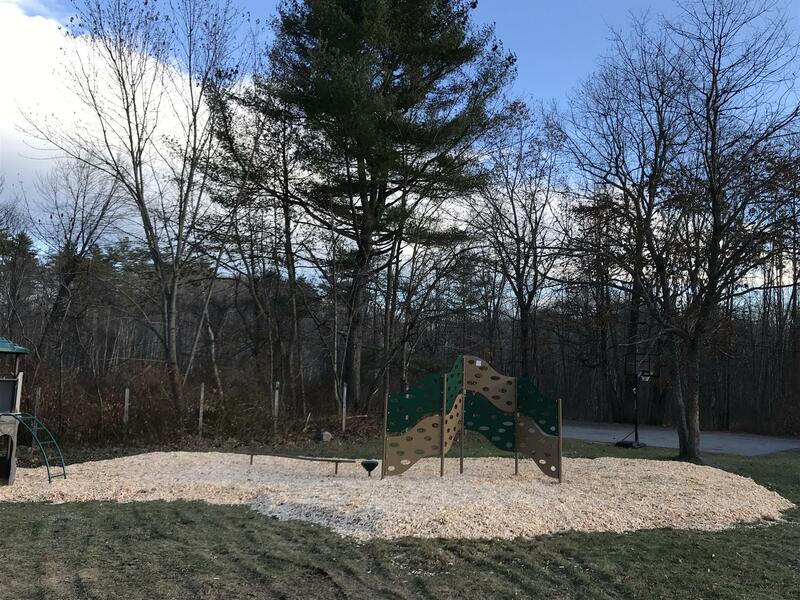 Our club completed installation of a new playground at Bridge Crossing/Dodge House School in Bridgton. This facility is a co-educational facility for students 5-14 years of age. 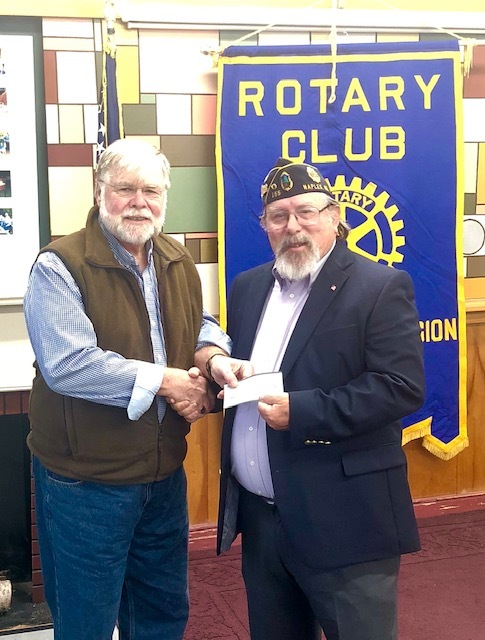 Rotarian Sheila Rollins, Project Coordinator, advises it will provide opportunities for development of cognitive skills, problem solving, and social/emotional skills. 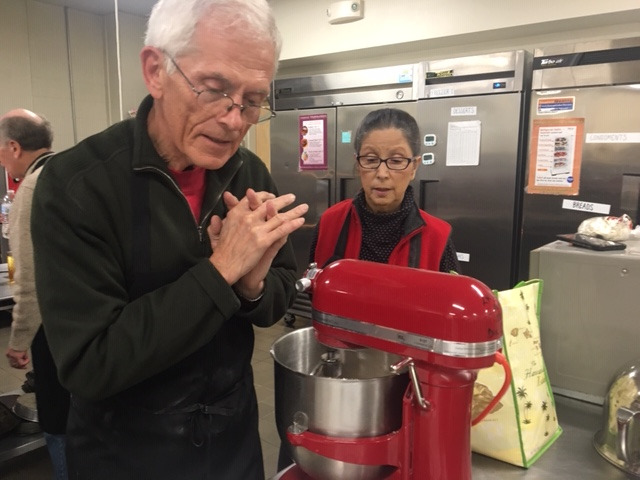 This was partially funded through a District Grant by the Rotary Foundation. Over 150 dictionaries were delivered to third graders today at Stevens Brook Elementary, Songo Locks Elementary and the Dodge House School. 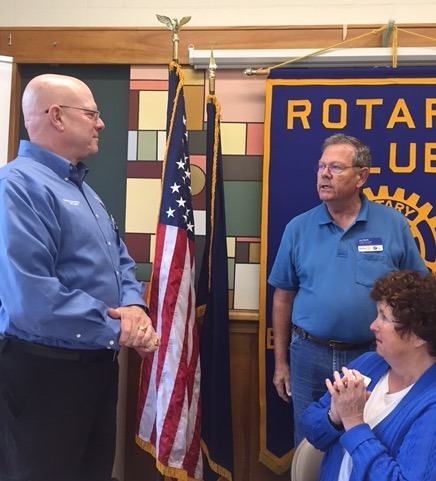 Rotarians who made it all happen were Erin Nelson, George Klauber, Linda England, Carol Madsen and Mike Daley. 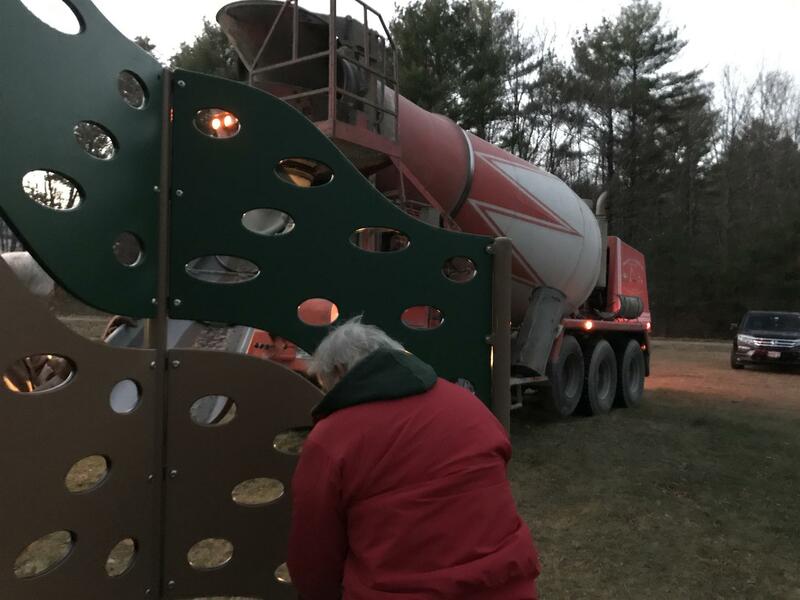 Thank you for supporting us at the Fryeburg Fair! As part of our serving the community we prepared and served an "Hawaiian" dinner on August 10, 2017.